Leda Stowe loves living on her tiny island off the California coast, taking care of rescued exotic animals. 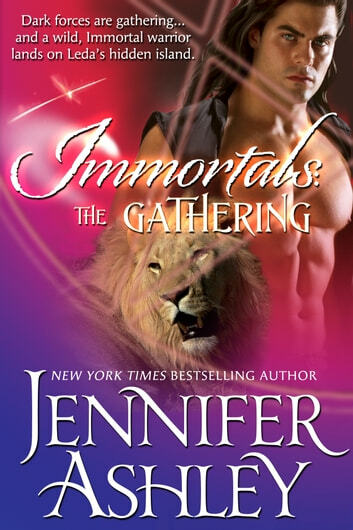 But her peaceful existence is interrupted one night when a gorgeous man with a sword appears out of nowhere in her lion's enclosure. Instead of fearing for his life, the man has a conversation with the lion and casually walks out to face Leda—all six foot and change of him, wearing nothing but jeans riding low on his hips. He exudes more life magic than Leda has ever seen, easily erasing the wards she's put on her island home and imposing his own. He is Hunter, one of the Immortal brothers, jerked away from his snug bed by the Calling spell, thrown here when the spell was broken. He knows there's something wrong with the world, but he'd rather hole up on this quiet island with the beautiful Leda, and let the world deal with it. 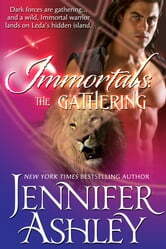 But too soon Leda and Hunter, and the lion Mukasa, must journey to the mainland to join Hunter's brothers for the final battle against evil, to rescue the trapped Tain, which will call for Hunter to make a sacrifice that threatens to break him. This is a full-length novel (95,000 words). Very good characters! Great story line and made you want to know more about the witches and their Immortal mates.